The Emma Armchair by Rugiano Interiors combines sleek lines with a retro style. Inspired by mid-century modern design, Emma is hand-crafted using only the finest Italian materials. Upholstered in the finest leathers and fabric, choose from a wide range of beautiful suede leathers and plush velvets. The legs are finished with polished bronze or steel feet for a glamorous feel. The deep seat and cushioned backrest can be realised in contrasting textures with Rugiano’s signature quilted detailing. 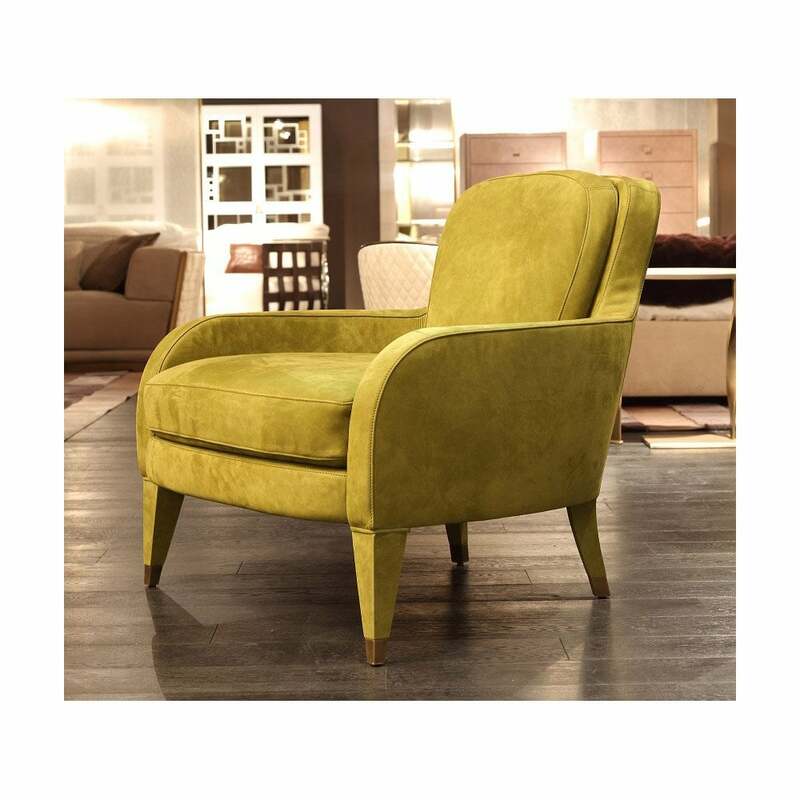 Elegant and timeless, we love this style upholstered in a vibrant chartreuse or a deep cherry red. A glamorous addition a reading nook or bedroom, the Emma Armchair is a must-have investment piece for any design lover. Samples are available upon request. Make an enquiry for more information.